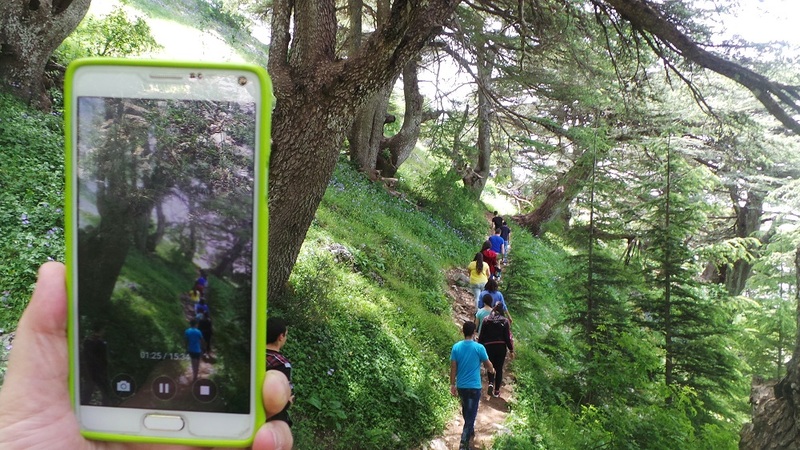 There are more than 250 km of hiking trails in the Shouf Biosphere Reserve extending from the highest mountain peaks to the lowest river beds designed to satisfy a wide range of visitors. There are easy trails within cedar forests or medium trails connecting different cedar forests or long trails that link the villages surrounding the Reserve. A visitor can hike alone or in small groups, with a guide, along designated trails. The Lebanon Mountain Trail (LMT) is the first long-distance hiking trail in Lebanon and the region. It extends from Andqet in the north to Marjaayoun in the south. The 470 km path transects more than 75 towns and villages at altitudes ranging from 600 meters to 2,000 meters above sea level. The trail is divided into 27 sections of which six sections (about 100 km) pass through the Shouf Biosphere Reserve and are included in this guidebook.